Phonographic Copyright (p) – Identity Records Ltd. 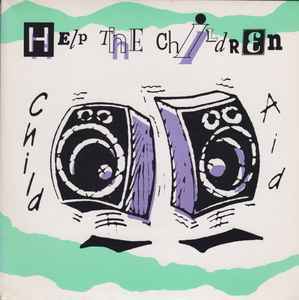 Copyright (c) – Identity Records Ltd.
Label mentions side B as "Help The Children (inst.)" while the Sleeve mentions it as "Version Child". All proceeds will be donated to Childrens Charities Trustees David Walmsley, Danny Britton and Ray Sallows. Special thanks to Steve Ford, Ray Sallows, Mark Hebden, Roy Little and Marla, Kelly Sallows, Shareese Gordon, Neil Harrison, Ian Tipper, Scott Povey and all the children from Colchester Drama Group GOAT.